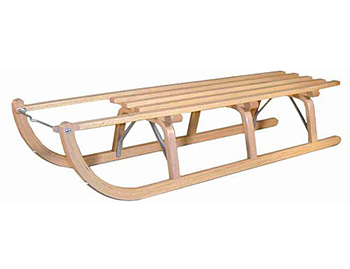 The Ress Davos Rodel 115 traditional wooden sledge is ideal for both adults and children alike. 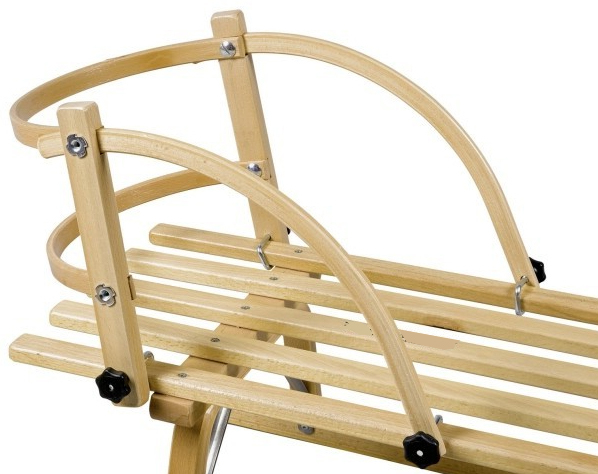 The main structural components and skids are made from beech wood for terrific strength. Steel runners are attached to the base of the skids. All timberwork is coated with a hard-wearing polyurethane varnish. Made from Beech wood. Size 115 x 25 x 34cm. Weight 5 kg.